We sell and hire our LED Signs - please ask for details. Travel Agency - show your customer exotic and special offers. The perfect led advertisement for a Christmas time. Perfect for any indoor and outdoor events. Nightclub - the brightest advertisement for your scenes and outside. Car showroom - led billboard to inside or outdoor - for professional presentation. Car presentation - arouse customer's interest of your product. (e.g Mercedes). Estate Agency - portable temporary led signs or the front advertising. Casino - Spending money, but which casino they should choose. Hair dresser - tell your customers how they lucky are. 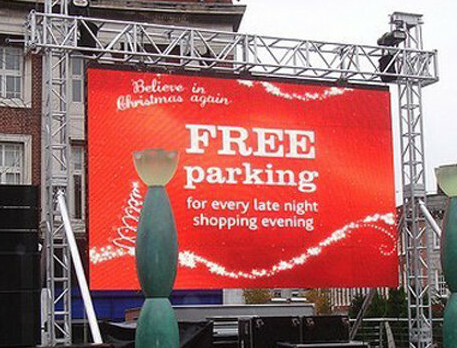 New Year - programmable animated signs for displaying your advert.